The strange but palpable euphoria felt by the Manchester United faithful following Juan Mata’s move to Old Trafford dissipated into disappointment after the champions’ first ever loss at the Britannia against Stoke. 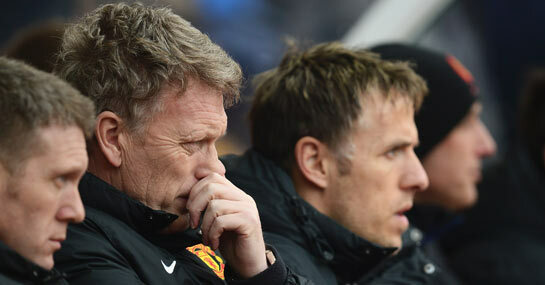 Liverpool’s surprise stalemate at West Brom limited the damage caused by the 2-1 defeat, but United are now seven points behind the fourth-placed Reds in seventh and boss David Moyes looks increasingly incapable of dragging them back into the Champions League reckoning. With the top three places seemingly between Man City, Arsenal and Chelsea, Brendan Rodgers’ men come next in the betting to rejoin Europe’s elite at 4/7, which should be snapped up by shrewd punters before Ladbrokes realise their mistake. The 10/3 about United, who are fifth favourites in this market, chasing down a top-four place by the end of term should be avoided like the plague, as Moyes clearly doesn’t have enough quality in his squad to sustain a challenge and isn’t using his resources to full effect at present anyway. The decision to leave Adnan Januzaj on the bench against Cardiff proved profitable, as the 18-year-old needs regular rests to avoid burnout and United managed to win without him, but not using him for a second match in a row against the Potters was a bad call. Stoke were 2-1 up and causing the Red Devils countless problems at Old Trafford in November, before the Belgium-born boy wonder came on in the 58th minute and brought his more senior teammates to life, with the hosts eventually running out 3-2 winners. Moyes seemed to learn completely the wrong lesson from that game in the away fixture by bringing on Javier Hernandez, who scored the winner against Mark Hughes’ side at Old Trafford but has only managed to fire once in the Premier League since. Instead of substituting Robin van Persie for Hernandez, Moyes should have left the 6ft 2in Dutchman up top and given Januzaj a chance to provide better service than what was afforded by the ever untrustworthy Ashley Young. Injury problems are mounting up at the back again, with three centre-halves currently rated doubtful for the Red Devils’ next match at home to Fulham, and while failing to beat the rock-bottom Cottagers really would constitute a crisis, there might not be enough easy games left in the campaign for United to save it.